Fayrouz, PT Multi Bintang’s refreshing drink with no alcohol, has added a new variant – date palm (kurma) into the existing range comprising pear and pineapple. Fayrouz Kurma is aimed at the upcoming Ramadan festive season. We have seen quite a number of beverages in Malaysia and Indonesia tapping into kurma for their seasonal offerings. 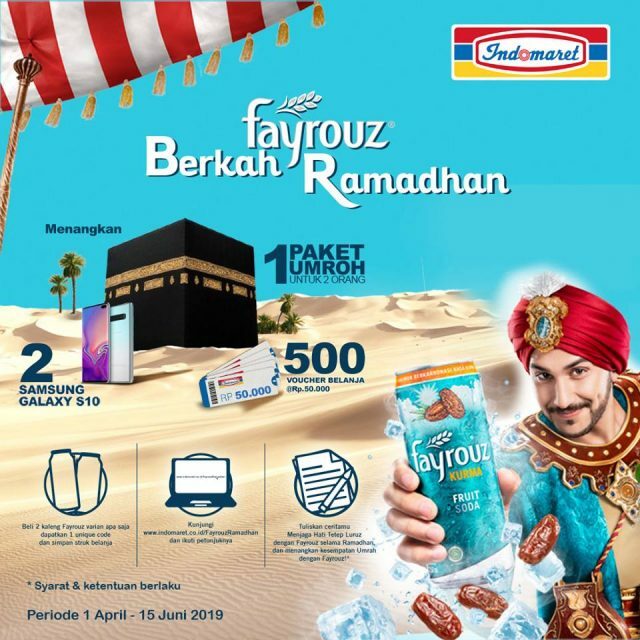 Multi Bintang is offering Umroh package for two and other exciting prizes including Samsung Galaxy S10 and Indomaret shopping vouchers to lucky winners for every purchase of two Fayrouz drinks at Indomaret. With Fayrouz targeting Ramadan, which is the most important holiday in the Muslim calendar, the question is would The Coca-Cola Co’s Barbican in Malaysia follow suit?